It’s frightening just how much fun you can have at the Disneyland Resort’s Halloween Time festivities. 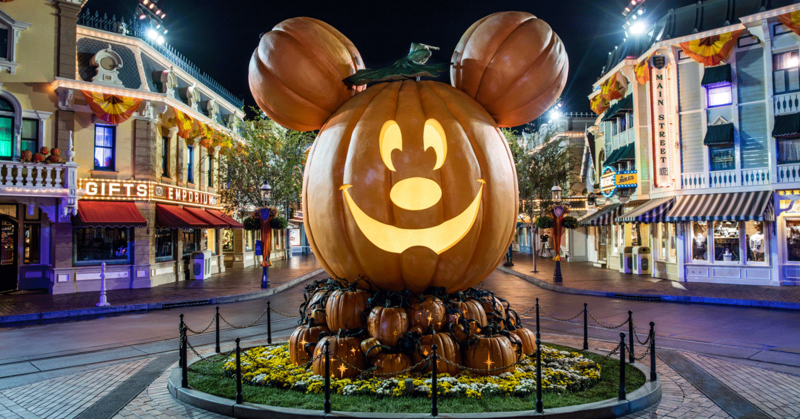 Check out the best that Disney has to offer during this spooky time of year. 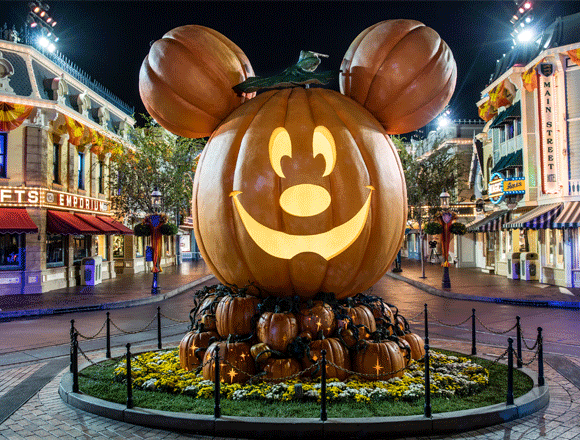 Mickey’s hosting several Not-So-Scary Halloween Parties throughout the season and all are invited. Purchase your party ticket and wear your favorite Halloween costume to the Parks. You’ll also get a first look at party-exclusive ride experiences, see the Boo-To-You parade, the Hocus Pocus Villain Spelltacular, and fireworks too. See fabulously festive décor as well as pumpkin themes that include Halloween’s colors on Main Street. At the Main Street Pumpkin Festival, there are hundreds of jack-o-lanterns made by hand that are creative and creepy. Like every other Disneyland section, Main Street has its own decorations and theme, meaning you’ll encounter new chills (and thrills) everywhere you go. Don’t let the name fool you. It will be a dream meeting Jack Skellington and Sally from this cult classic. Look out for them in New Orleans Square, near Royal Street Veranda. Jack, in particular, is engaging and cracks jokes at a moment’s notice. Plus, you can snap pictures with them too. The Guardians escaped The Collector’s Fortress unscathed, but accidentally left Groot behind! Help Rocket and friends locate the lost guardian by distracting creatures and braving scary obstacles on your way to freedom. Will you make it? Blending with the Nightmare Before Christmas theme, the revamped Haunted Mansion features vibrant decorations and will have you humming songs from the classic movie. This iconic, spooky ride is now Jack Skellington’s playground. If you want to play, then make sure to get there before 10 a.m. or get FASTPASS, because wait times will be long. Ghostly characters roam in the dark and scenes will get scary, so you might want to skip this one if you have young kids. Prepare for menacing meteors and spooky star fields as you investigate Space Mountain’s creepy cosmic phenomenon, taking spine-tingling detours along the way. Make sure to get there early or with a FASTPASS, too. Head over to Cars Land for Luigi’s Honkin’ Haul-O-Ween for a ghoulish fiesta while taking a spin around the dancefloor to haunted versions of traditional songs. Take a break from the haunted if you’re getting hungry, and have a bite at any sweet shop, treat cart, or restaurant. Churros everywhere, Jack Skellington apples, Mansion Spider Bundt cakes, and plenty more. Tropicana Inn & Suites is your place to rest after your Halloween adventures! We’re located directly across the street from the Main Entrance to both Parks. Book your stay now.